My family and I got our glow on last weekend at Disney World. 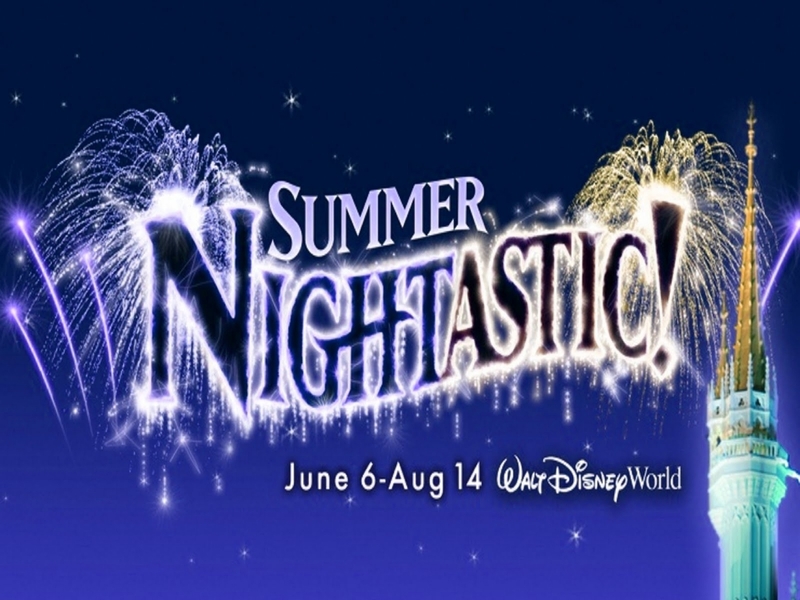 I was invited by Disney to attend the media events surrounding Summer Nightastic 2010 and I was able to bring my family as well. As you know, my family never passes up an opportunity to go to Disney World! Disney World has put some special things in place only for the summer nights; everything is glowing and sparkly and full of pixie dust. The return of Disney’s Main Street Electrical Parade to Magic Kingdom. A staple at Disneyland in Anaheim, California, the parade returns to Disney World Resort for the first time since 2001. An elaborate new Summer Nightastic Fireworks Spectacular that tells the story of pirates and fairies. New special effects and summer-only drop sequence to The Twilight Zone Tower of Terror. Rock n’ Glow Dance Party at Disney’s Hollywood Studios where a DJ and live rock band keeps the guests dancing five nights a week. Live Sounds Like Summer tribute-band concerts at Epcot. My family and I had a fantastic time! We love Disney World and got to experience many of our resort favorites (especially with a media fast pass in our hands!) as well as some new things that we’ve never done before. That’s why Disney World is such a fun place to visit again and again – it’s never the same vacation twice. As media, not only did I get to experience Summer Nightastic in the theme parks like the other guests, I also had the privilege of interviewing some of the Disney people responsible for making the magic happen. First I interviewed Marc Lorenzo, one of 6 fathers on the 21 person Walt Disney World Moms Panel. If you’re not familiar with the Moms Panel, you should be if you are planning a trip to Disney World; they offer guidance, opinions and great suggestions for making your Disney experience a memorable one. Marc is a relatively new Disney World fan – his first trip was in 2007 – but his application stood out among the 20,000 applicants. As a single dad with a strong social media presence and a focus for saving money while vacationing at Disney, Marc’s favorite thing at Disney is the Main Street Electrical Parade and spending time with his son. Talking to imagineers at Disney World is always fascinating. These are the people who imagine and engineer the attractions at the resort. I interviewed imagineers Jason Roberts and Diego Parras about Tower of Terror. They said that everything they do starts with a story; they want the guests to be immersed in the story, not the technology. After the story is worked out, then the engineers are brought in and finally the architects. Diego said that it’s like a director looking through the lens of a camera: first there’s the wide shot (the outside of the attraction), the medium shot (the attraction que) and then the tight shot (the ride itself). I rode Tower of Terror during my first trip to Disney World and while it scared me so much that I won’t ride again, I still say that it is one of the best rides that I have ever ridden. The story and theming of the ride is amazing. Part of me really wanted to ride again to experience the new effects and drop sequence for Summer Nightastic that Diego and Jason talked so excitedly about, but the other part of me (my queasy stomach) didn’t think it was a great idea. Instead I admired the special summer nighttime glowing effects safely on the ground. Gene Harding, the Show Producer for many of Disney’s fireworks (Wishes, Halloween, Christmas), spoke to me about Summer Nightastic Fireworks Spectacular. Just like with the attractions, the idea for a fireworks show starts with the show director writing a story and script. After the script is in place, then they add the music and the fireworks designer gets involved choosing the color palette and different shells. Disney works with several different companies in the US and China to get the best fireworks. This was the first time they used perimeter fireworks (seen around the park) for a summertime show; usually perimeter fireworks are reserved special occasions like July 4th. The fireworks show that we see is a result of several rehearsal shows that have been perfected. While the show is about 12 minutes long, each show will change depending on the wind conditions for that night. The fireworks are controlled from a gazebo near the castle, but the fireworks are shot from several rooftop locations within Fantasyland and roadside locations outside the park. Gene’s tips for good viewing spots are in front of Crystal Palace and on the Tomorrowland Bridge. His favorite part of Summer Nightastic Fireworks Spectacular is the pirate section. I loved it all–the pirates, the fairies, Tinkerbell–it was the most visually stunning fireworks show that I have ever seen; Disney really works their magic with this show! All of the Summer Nightastic events were fantastic, but seeing the Main Street Electrical Parade was a highlight for me. I absolutely LOVE this parade. Although I have been several times within the last year, Disney World is a relatively new experience for me; it’s Disneyland that I know like the back of my hand. Going to college on the west coast, I would go to Disneyland on a whim and often times just to see the Main Street Electrical Parade. I was so excited to be a part of the media around the parade’s return to Disney World as part of Summer Nightastic. As part of my media tour I went backstage to see the parade floats and talk to some of the people responsible for the parade. I learned many things about the parade that I didn’t know. Bob Jani, no longer living but a Disney Legend, got the idea for the parade during Christmas. While looking at his Christmas tree, he was fascinated by the twinkling lights and even more so when he removed his glasses and saw how his blurry vision diffused the lights and made the tree even more beautiful. Back in the office he played around with lights and chicken wire and an idea was born. Currently there are more than half million lights used in the parade. To make the parade more eco-friendly and reduce the electrical output, about 10,000 lights are LED bulbs that only use 25% power. Originally the floats were gas-powered which was noisy and polluted the air. As technology provides a better way to produce the parade, Disney makes those changes. As you can imagine, taking the parade apart in California and putting it back together in Florida was not easy! Marc Hurst, the Technical Director for the parade, said that every part had to be labeled and every wire had to be accounted for. It took 26 semi trucks to transport the floats. Douglas Enderle, Emmy Award-winning Senior Costume designer, showed us a dress that is worn by Cinderella’s ball dancers. The dress had 284 lights, iridescent fabric and crystals (some of them Swarovski) meant to twinkle and diffuse light in multiple layers. What you don’t see is Nomex, a high temperature resistant fabric that is layered between the lights and the dancer, for obvious safety reasons. Because of the differing state laws, many of the parade dresses had to have all the lights taken off in California and put back on in Florida after the move. During this trip I got to see Disney’s Main Street Electrical Parade with VIP viewing in front of Cinderella’s Castle and I was positively beside myself. As Tink led the parade and sprinkled pixie dust that traveled to every float, I danced to the music and held my daughter’s hand. Making memories. *Read about the rest of my media trip in the blog post: Toy Story 3: An Interview With The Green Army Men.